Weighty Matters: Is sodium a dietary red herring for the effects of processed foods? The study's findings were in contrast with what most would have expected. Though higher sodium excretion did in fact correlate with higher blood pressures, surprisingly, it also correlated with decreased mortality. 1. 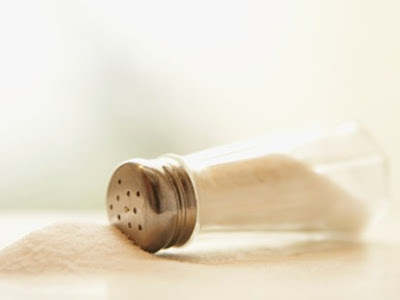 We've been barking up the wrong tree sodium wise, and sodium's not something the general public should be worrying too much about (unless they suffer from congestive heart disease or hypertension). 2. We're right, sodium's bad, and this study, due to methodological limitations, shouldn't be one that influences us on not lowering our sodium intake. 3. Sodium's isn't a causal agent of disease but instead given that processed foods are phenomenally high in sodium, is a useful biomarker for the degree of processed foods a person's consuming, and that it's the huge volumes of sugar and pulverized flour (that's more often than not packaged with gobs of sodium) that's actually causal for cardiovascular disease and death. This study, where data was amassed from European countries from in some cases as far back as 26 years ago, may be looking at a days gone by Europe where processed foods and meals out were anything but the norm, and where a high sodium consumption reflected some other, in this case protective, dietary pattern. I wonder if the study were repeated here and now in North America, if the findings wouldn't stand in stark contrast, with sodium excretion here likely reflecting a highly processed lifestyle which in turn would correlate dramatically with cardiovascular disease? Of course if option #3's viable it would mean that sodium reduction will likely only benefit those who rely on a return to actual cooking to reduce their dietary sodium, and not to those who eat large volumes of sodium reduced processed foods. The great news is that science marches ever forward, and while it may take some time, eventually we'll have solid answers. Until then, and before I'd worry about absolute sodium intake, I'd recommend we all work on markedly reducing our consumption of processed and restaurant foods.